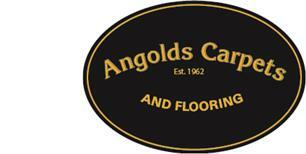 Angolds Carpets - Carpets/Flooring based in Bagshot, Surrey. Established in 1962 with a carpet showroom based in Bagshot, Angolds Carpets offer a vast range of floor coverings, including carpets, wood flooring and vinyl flooring, to domestic and commercial customers in Surrey, Hampshire, Berkshire, London and beyond at very competitive prices. Ascot, Camberley and Sunningdale are just three local areas covered by our carpet fitters. We are a family-run business which is proud to uphold traditional service values and happy to offer expert, friendly advice, for which we are both well-known. Our carpet showroom in Bagshot offers a full planning and estimating service, free of charge, and we are happy to provide samples of carpets, wood flooring or vinyl flooring so that the products used by our carpet fitters can be physically viewed in the homes of our customers. Our spacious new carpet showroom, which is now at the rear of the original shop at 4 Guildford Road in Bagshot, offers a vast leading brand range of carpets, wood flooring, laminates and vinyl flooring to suit every need and budget. This includes the prized range of “Brintons” carpets, for which we are the only approved platinum retailer in Bagshot and the surrounding Ascot, Camberley and Sunningdale areas. There is also a large warehouse attached to our new carpet showroom in Bagshot where carpets and vinyl flooring can be purchased from the roll at even more competitive rates. Many remnants are also available. Whatever your flooring requirements and price range, Angolds Carpets will look after you from start to satisfying finish. If you need any further help or information about our products and services, please call us on 01276 453003 or visit us at the new carpet showroom where we look forward to meeting you.